Rivals.com released their final rankings for the class of 2018, and four Kentucky Wildcats finished in the top-35, with three falling in the top-20. EJ Montgomery moved up one spot in the rankings to No. 10 overall, and Keldon Johnson moved up to No. 13, as well. Immanuel Quickley saw a slight drop, falling five spots to No. 20 overall. Tyler Herro is Kentucky’s lowest-rated recruit, coming in at No. 34 in the class. Ashton Hagans, the No. 2 point guard in the class of 2019 and a Kentucky commit, will almost certainly reclassify to 2018 this summer. Rivals says this is the final list, but with Hagans likely finishing as a top-two point guard in his new class, they will likely have to redo the rankings to include the newest Wildcat. As for their latest 2019 rankings, Kentucky targets Vernon Carey Jr. and James Wiseman are listed at No. 1 and No. 2, respectively. Matthew Hurt, Bryan Antoine, Scottie Lewis, and Tyrese Maxey, four other Wildcat recruits John Calipari visited over the last week, finished at No. 5, No. 7, No. 9, and No. 12. Hagans came in at No. 6 overall. Why is Calipari not recruiting Charles Bassey. I mean, he goes to school in Louisville and is the number 3 player in his class, seems like an easy one to get. That being said, I’ve learned my lesson more than a few times… Trust Cal, he knows what he is doing. 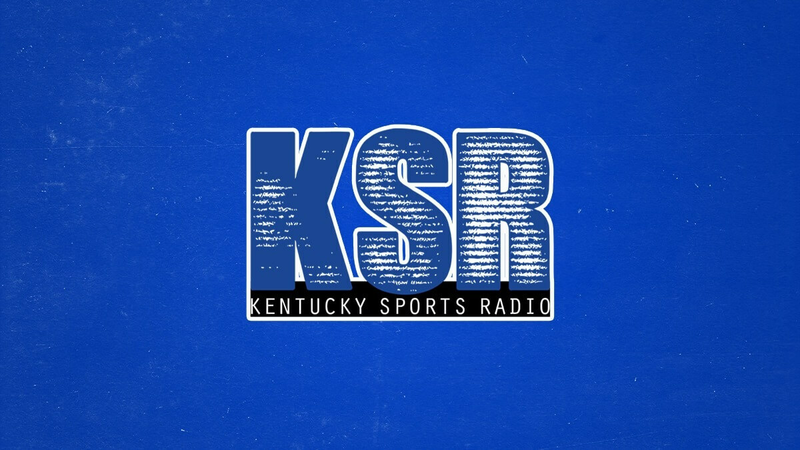 I’m interested to see what KSR keeps raving about with Johnson. Saying he’s one those next level guys like a wall cousins Davis or even slightly below like randle and knight. Kinda hard to believe if he’s ranked 13. I know the rankings aren’t always right and for our case i hope they are dead wrong. I was thinking he was like 6th in a different one. He was the overwhelmingly best player on the best team in HS basketball, some ratings list him higher, the guy is a beast. You’re right. He’s a good player, but the hype Jones is giving him is going to cause fans to be disappointed. He’s not even close to the type player Matt keeps saying. Also notice how Zion dropped. Very curious as to what went down at the McDs AA game that MJ has hinted at multiple times now. Can u explain what matt has hinted? Thanks! I wonder if there is a chance he de-commits, since he has not signed. Wishful thinking? Matters not, if rankings are all that matters then why play the season. dUKe has best rated class but like us may not have much experience. Just like this year, dUKe was probably most talented team, based on draft pick expectations, but experienced team won. We have won draft night for years but not title night. Just remember, Duke had the number 1 recruiting class the year UK went 39-1, Grayson Allen was ahear of Booker in the recruiting rankings that year, and KAT was around #4 in most ratings. Well said. Winning draft night is great for Cal and players and I can appreciate it. But I’d rather win championships. We haven’t even been winning draft night. That’s what has Cal so motivated. He can live without titles, but losing draft night makes him lose sleep. Have fun… lol …. with Chris … lol…. lolol… Mack….